The past two weeks of load shedding has cast a shadow of doubt over the government capacity to deliver crucial services. E-governance offers an opportunity to deliver services in a more efficient manner that will cut the cost and time it takes for people to receive government services. However, the lack of state capacity to develop, promote and protect e-governance platform could stifle its further development. With the 2019 national elections rapidly approaching, political parties, electoral organisations and civil society are gearing up to take part in what is arguably one of the most vital aspects of democracy: Being able to vote and elect a party into power. The past few weeks had brought the national power utility Eskom under heavier scrutiny as it battled to keep a nation-wide blackout at bay and had to implement scheduled load-shedding (in some instances rolling blackouts). Although the utility seems to have stabilized there were concerns that, seeing as South Africa makes use of load shedding or blackouts would threaten the integrity of this year’s elections, more importantly, the credibility of the results as votes are counted at night and the loss of power to counting stations would not only cost the Independent Electoral Commission more money but would also be disastrous for the outcome. Another concern, which brings me to the main point of my discussion, is with the digitalization of votes and results, that it is possible for the IEC to have a data breach (although unlikely). This concern over keeping power stations and South Africa electrified should also spark conversation around the Fourth Industrial Revolution. Primarily what a government or what governance looks like in a digital, mechanised society. More and more government branches are going online, and with this so are the services offered. Things like applying for marriage or birth certificates to things like booking for the renewal of a license or optimally applying for grants can be done remotely from the comfort of home and then collected when the actual document, certificate or license is ready and waiting. While people will still need to visit government departments after applying online to have photographs taken, fingerprints captured and signature digitized with the steady improvement of these technologies there will most likely come a time when a few clicks of a mouse, the upload of documents and signatures can be done from a desk. What does this increased trend towards ‘e-governance’ mean? Idealistically, greatly improved efficiency in not only applying for government services but also a massive reduction in the waiting time to access those services and more efficient allocation in terms of grants. In terms of healthcare, local clinics would move away from bulky folders and clinic cards towards smart cards with chips (like bank cards, protected by a pass code of some sort, obviously) that would have all the patients’ information, and that of any dependent in the case of parent/guardian and a child. 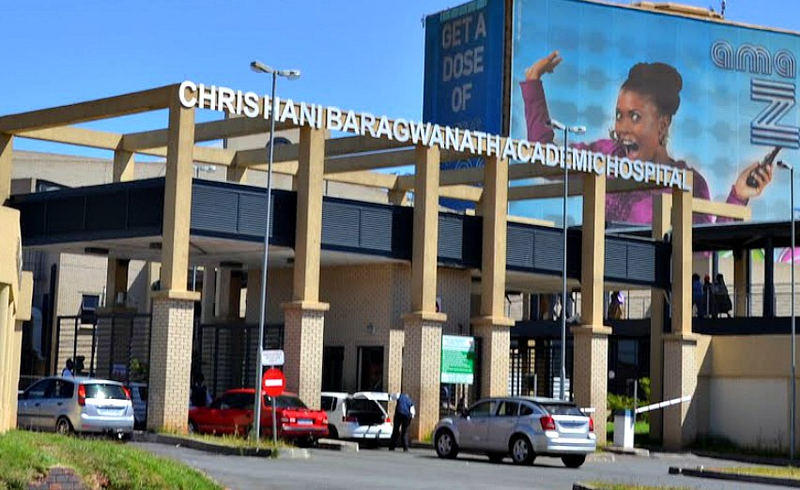 These local clinics would also be connected to the closest tertiary hospital meaning that upon arrival at a tertiary hospital a patient would present the card to the receptionist, who then would put it through a scanner and have fast and immediate access to not only the referral letter but also to medical history. Similar concepts can be used in almost all spheres of governance and service delivery. Ideally. However, as has been noted with the issues faced by the National Students Financial Aid Scheme (NSFAS) (in receiving, reviewing and responding to applications received electronically), the South African Social Security Agency (SASSA) debacle, the data breach experienced by Home Affairs in 2017 and Presidency website hack in 2018 as well as the lack in human centred technological and industrial progress bring to the fore two things. First, that despite the strides we’ve made technologically and industrially that we do not have the capacity to efficiently and optimally take full advantage of the Fourth Industrial Revolution. Secondly, that in the case where the perceived capacity exists, there is a lack of maintenance, upkeep, forward-thinking and accountability making it extremely difficult to move towards e-governance without putting the lives of thousands of South African’s under serious strain. Effective e-governance requires not only for government departments and their branches to have the necessary equipment, systems and protections mentions (cybernetic and infrastructural) . Moreover, it heavily dependent on the civil society being able to readily access and utilize the services. E-governance succeeding is also on the timely and accurate provision and allocation of government services consistently. Meaning that government and the private companies it contracts to assist in the implementation and provision of these e-services need effective and rot-free administration. It also means that all of society must be able to easily and readily access these services. Something that, due to the worsening inequality, is currently not a reality. E-governance, if properly invested into and implanted holds the possibility to provide direct, ‘hassle free’, effective and efficient services to all in South Africa in need of government service. However, with the reduction with ‘direct’ interaction with government departments eventually even municipalities there stands a threat for an even more distant government than the one South African’s are experiencing now (which stands to change after the 8th of May).